The government's top doctor is taking aim at what he called a youth vaping epidemic and targeted the best-selling electronic cigarette brand, Juul, for addicting millions of teenagers. In an advisory issued Tuesday, Surgeon General Jerome Adams said parents, teachers, health professionals and government officials must take "aggressive steps" to keep children from using e-cigarettes. The advisory also called on local authorities to use methods like bans on indoor vaping and restriction on sales. For young people, "nicotine is dangerous and it can have negative health effects," Adams said in an interview. "It can impact learning, attention and memory, and it can prime the youth brain for addiction." The advisory was prompted by the latest statistics on vaping among youth, which found e-cigarette use among teenagers has increased dramatically. Twice as many high school students used nicotine-tinged electronic cigarettes this year compared with last year, an unprecedented jump. It was the largest single-year increase in the annual survey’s 44-year history, far surpassing a mid-1970s surge in marijuana smoking. "We have never seen use of any substance by America's young people rise this rapidly," Health and Human Services Secretary Alex Azar said at the briefing. "This is an unprecedented challenge." The federally funded survey of teen drug and alcohol use was released Monday and is conducted by University of Michigan researchers. The survey has been operating since 1975. This year’s findings are based on responses from about 45,000 students in schools across the country. According to the results, an estimated 3.6 million U.S. teens are now using e-cigarettes; with 1 in 5 high school seniors reporting having vaped nicotine in the previous month. After vaping and alcohol, the most common thing teens use is marijuana, the survey found. About 1 in 4 students said they’d used marijuana at least once in the past year. Overall, marijuana smoking is about the same level as it was the past few years. Vaping of marijuana rose, however. But more teens are saying no to other substances. Usage of alcohol, cigarettes, cocaine, LSD, ecstasy, heroin and opioid pills all declined. Experts say it’s not clear what’s behind those trends, especially since the nation is in the midst of the deadliest drug overdose epidemic ever. E-cigarettes and other vaping devices have been sold in the U.S. since 2007, growing into a $6.6 billion business. Most devices heat a flavored nicotine solution into an inhalable vapor and have been pitched to adult smokers as a less-harmful alternative to cigarettes. 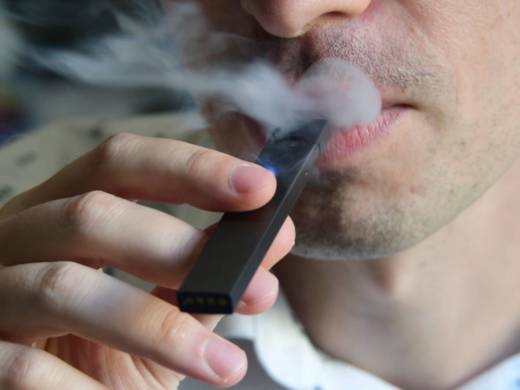 Adams singled out Silicon Valley startup Juul, noting that the company's devices are particularly popular among young people. Analysts estimate Juul controls more than 75 percent of the U.S. e-cigarette market. 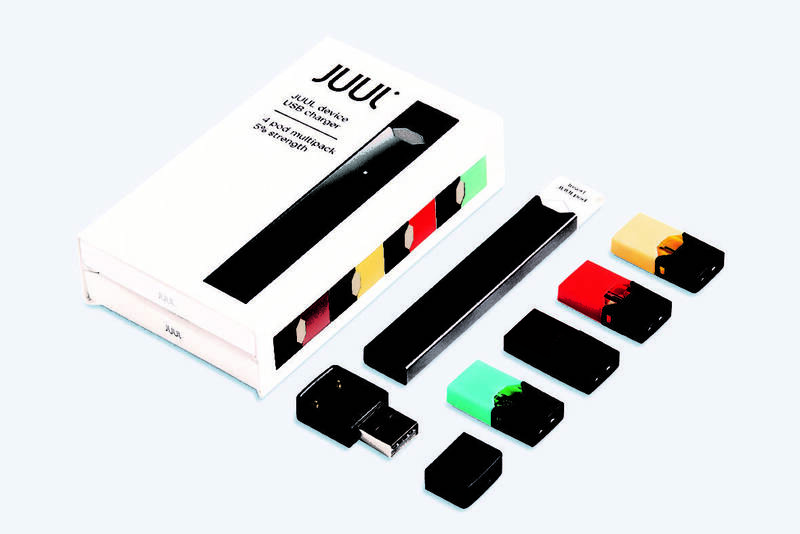 Juul defended its products, saying it's taken steps to cut down on youth use. "Juul Labs shares a common goal with the Surgeon General and other federal health regulators – preventing youth from initiating on nicotine," according to a statement from Victoria Davis, a Juul spokesperson. "We are committed to preventing youth access of Juul products." Last month, the company shut down its Facebook and Instagram accounts and halted in-store sales of its flavored pods. The flavors remain available via age-restricted online sales. That action came days before the Food and Drug Administration announced plans to restrict sales of flavored e-cigarettes to youth. Officials say they are especially alarmed by the proportion of young people who don't realize that electronic cigarettes contain nicotine, which is a highly addictive drug. A single Juul cartridge contains as much nicotine as a pack of 20 tobacco cigarettes.